Lock Set For 3 TraX boxes includes 6 matching locks, retention clips, and 2 keys. 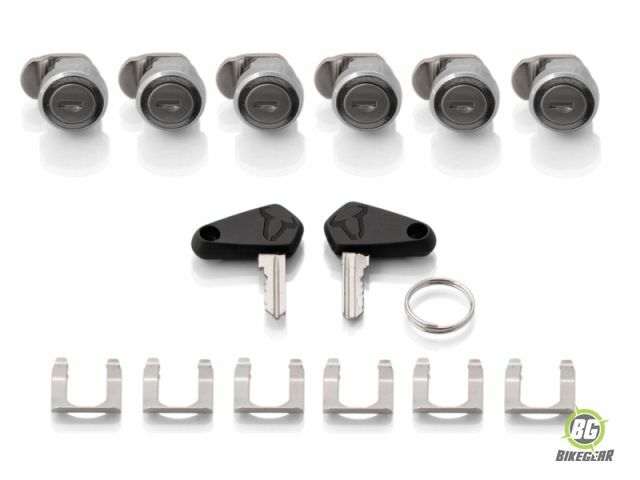 Includes 6 matching locks, retention clips, and 2 keys for TraX EVO/ADV ALU-BOX cases. Don’t lubricate the lock cylinders with oil. This will combine with dust and sand and wear on the inside of the cylinder and can eventually destroy the lock.